Hunts | KB Outdoors, Inc. 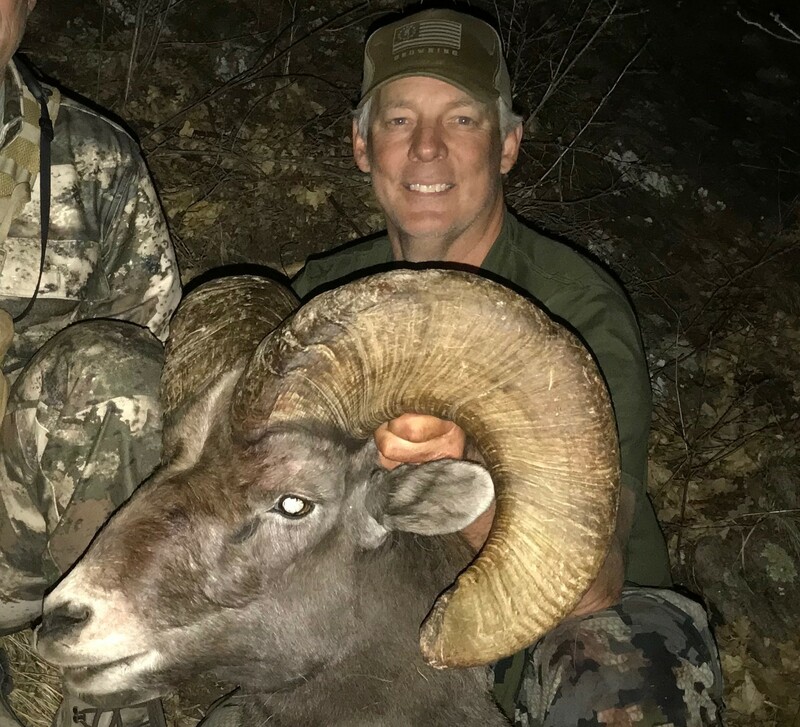 Learn more about the hunts offered by KB Outdoors, Inc.
We offer some of Colorado’s best fully-guided private land Archery, Muzzleloader, and Rifle Mule Deer hunts at various locations across Colorado. 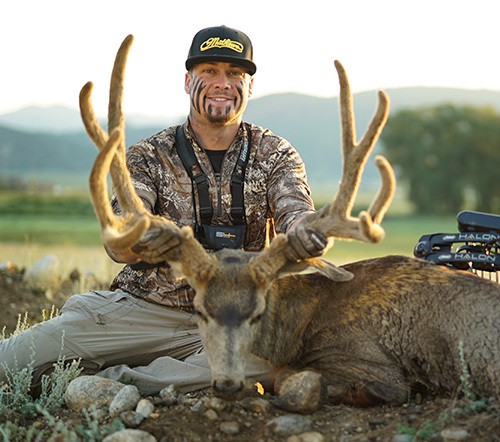 Our Mountain hunts offer some of the best opportunity hunting for Mule Deer. Not only is it good opportunity hunting but Trophy potential is always high at our very tightly managed mountain ranches. Historically our mountain ranches have produced deer from 160″-180″ with quite a few deer every year taken in the 185″ or bigger range. All Mountain Deer hunting opportunities whether it be Archery, Muzzleloader or Rifle hunting are always 5 full hunting days in length. 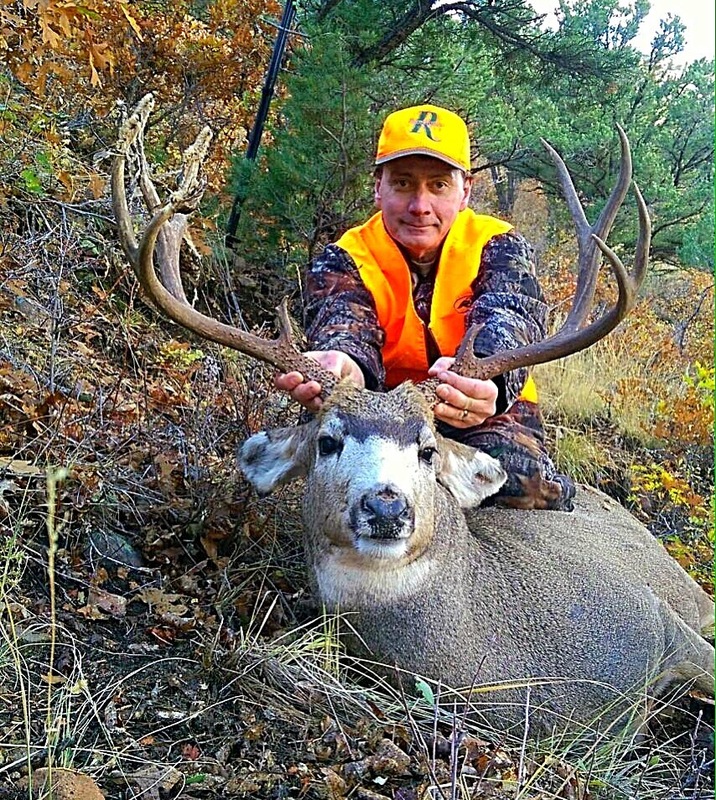 Our Trophy Mule Deer Hunting is conducted at our Eastern Plains Operation where we continually offer exceptional opportunities at harvesting trophy class bucks. All Archery and Early Rifle Hunts on the Plains are 6 days in length with the Late Rifle hunt being 7 days in length. The Late Rifle hunt is our most popular hunt and tends to book out 1-2 years in advance so make sure you get on our list before spots fill up. Some of the hunts can be made into a combination with elk depending on season hunted. Historically our ranches have produced deer in the 170″-190″ class with a few lucky hunters each year breaking that magical number of 200″. All hunting opportunities are always set as 2 hunters to 1 guide ratio with the exception of Plains Archery Deer and Late Rifle Deer on the plains. 1x1 accommodations can be made for an additional hunting fee on all other hunts if so desired. We will always strive to create a family and friends hunting atmosphere at all our camps and throughout the duration of your hunt. We offer some of Colorado’s best fully-guided private land Archery, Muzzleloader, and Rifle Elk hunts at various locations across Colorado. 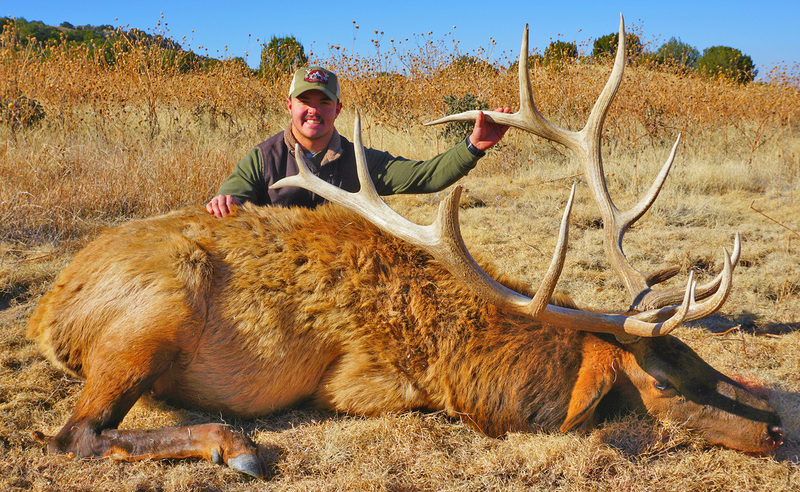 Our Elk hunts offer each hunter a unique experience that varies widely from trophy quality of bulls, quantity of elk observed, bugling hunts, late season hunts, method of take, terrain and many more options. Our elk hunting options are so various we recommend calling into our office so we can create and elk hunting package that best suits you. All of our hunting areas whether it be alpine elk hunts, mountain elk hunts, or plains elk hunts offer phenomenal opportunity for Archery, Muzzleloader and Rifle Hunting. Our Alpine and Eastern Plains elk hunts offer the best chances at harvesting a trophy quality elk. All alpine and mountain elk hunts can be combined with a Mule Deer or Black Bear hunt if availability allows. All hunting opportunities are always set as 2 hunters to 1 guide ratio. All hunts can be upgraded to 1x1 accommodations for an additional hunting fee if so desired. We will always strive to create a family and friends hunting atmosphere at all our camps and throughout the duration of your hunt. Combo Deer and Elk hunts are available at all locations depending on season choice. In our mountain areas combination elk hunts can be offered in various ways. Archery Muzzleloader, second rifle and third rifle can all be hunted in combination. The first and fourth limited elk rifle seasons can be hunted in combination with another season that offers Mule Deer licenses with only a short down time or waiting period between seasons. On the Plains of Colorado we can also offer Elk and Pronghorn combination Hunts during the first week of October every year. An example for the mountains hunts would be a client hunts first rifle season for elk, then the client waits for 3 days when the second rifle season opens and then hunts deer thus fulfilling their combination hunt. In our plains area we are fortunate enough to have a liberal season that lasts from September 1 – January 31 each year. With this being said we can always combo a deer hunt with an elk hunt at anytime if we have availability to do so. All combo hunting opportunities are always set as 1 hunter to 1 guide ratio to ensure the absolute best quality on your hunt. We will always strive to create a family and friends hunting atmosphere at all our camps and throughout the duration of your hunt. We have secured some of Colorado’s best private land Archery and Rifle Whitetail hunts in the southeastern part of Colorado. These hunts offer some phenomenal opportunity on trophy Whitetail. Historically our ranches have produced deer from 150″-160+” with a select few deer exceeding that mark every year. We look forward to having you in our Whitetail camp in the fall. 1x1 accommodations can be made for an additional hunting fee if so desired. We will always strive to create a family and friends hunting atmosphere at all our camps and throughout the duration of your hunt. 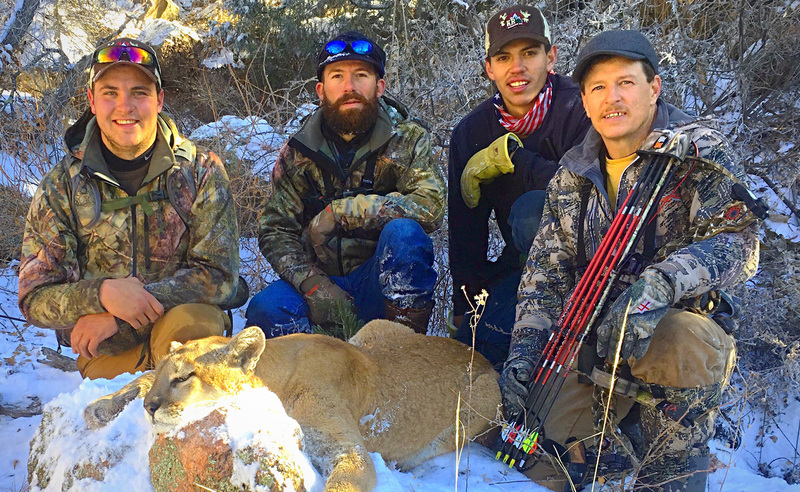 Let KB Outdoors Inc. and our experienced pack of hounds take you on a Colorado mountain lion hunting adventure. With the many regulations and draw only hunting opportunities that have been added to the Western states, our guided mountain lion hunts in Colorado provide a great opportunity to harvest a lion with over-the-counter tags. No waiting, no drawing, you make the decision on your terms and when you’re ready to mountain lion hunt . We can create the mountain lion hunting experience that works best for you and your life schedule. We will help you get that perfect trophy for a hunting trip you’ll never forget. Over the past several years there has been a 100% opportunity on Toms on our guided hunts. Our outfitted mountain lion hunts offer so many opportunities that very few hunters ever go home empty handed. If you are looking for a hunting experience, and trophy, of a lifetime, the guided mountain lion hunt is the hunting option for you! All mountain lion hunting uses snowmobiles, tracked atv and utv vehicles, 4wd trucks and your two legs to get around our hunting areas for the duration of your hunt. A bobcat can also be taken on a mountain lion hunt for an additional fee. Come enjoy one of the most exhilarating hunts you will ever experience. All Lion hunts are fully guided with meals and lodging for the duration of your 7 day lion hunt. We operate our lion hunts on an on call basis. What this means is we keep a list of clients and when the conditions to make a hunt present themselves we start calling our list to see who can partake in the hunt. So if a lion hunt is on your bucket list of things to do then dont delay call and get on our list so your dream can become a reality. We will always strive to create a family and friends hunting atmosphere at all our camps and throughout the duration of your hunt. Our Black Bear Hunts continually produce a 100% opportunity rate and a nearly 100% success rate. 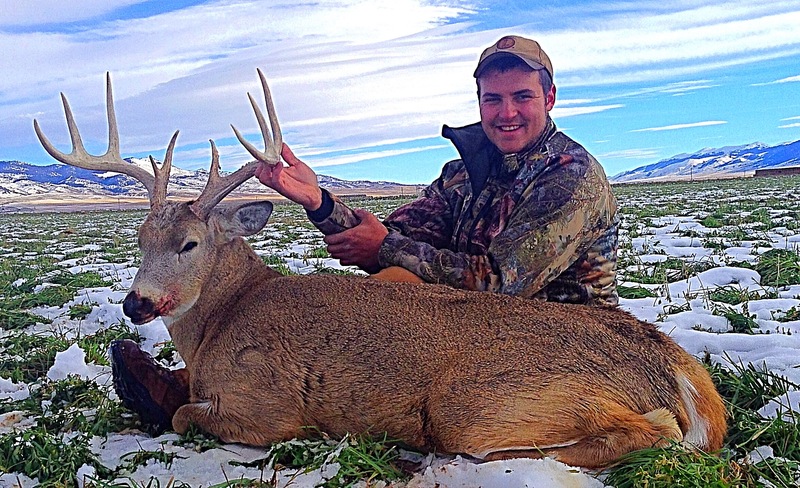 These hunts offer some of the best opportunity on the front range of Colorado. Our ranch and surrounding public Land guiding permitted area holds a stable and healthy population of black bears. In addition to the black bears we also have many color phase black bears as well. All hunts are conducted in september when the acorns are plentiful in the oak brush covered hills on our ranch. All hunting is done via spot and stalk. We look forward to having you in our Bear camp in the fall. All hunting opportunities are always set as 2 hunters to 1 guide ratio. 1x1 accommodations can be made for an additional hunting fee if so desired. We will always strive to create a family and friends hunting atmosphere at all our camps and throughout the duration of your hunt. KB Outdoors Inc. offers some of the best fully-guided antelope hunts in Colorado. We have exclusive hunting access to over 25,000 acres of prime antelope habitat and are always acquiring other top quality private ranches throughout the Eastern Plains of Colorado. 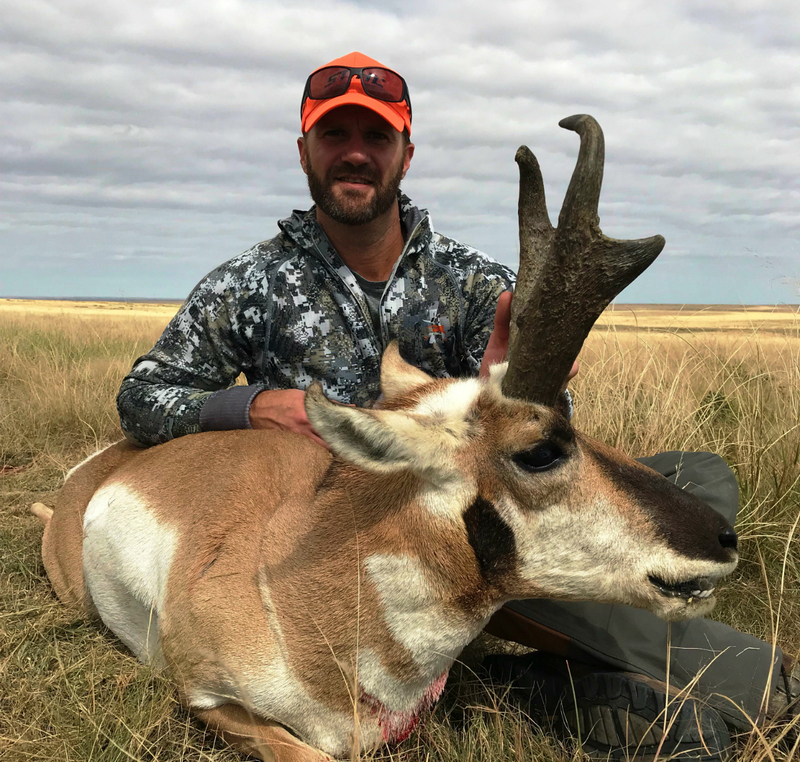 Our ranches are tightly managed for trophy quality antelope, in excess of 14 inches, in order to offer multiple opportunities at this prairie speedster.We do offer a limited amount of landowner vouchers/ licenses dependent upon the draw results. Accommodations for these hunts are at our eastern plains camp. All archery, muzzleloader and rifle antelope hunts are 3 days in duration. The terrain encompasses rolling grasslands and some deep canyon areas with native cedar, pinyon and juniper. This is an excellent way to spend quality time on a father/son, father/daughter, husband/wife or other family combination hunt. Join us for an action packed big game hunt as we pursue the pronghorn antelope. All antelope hunts are three days in duration. Our bucks average around 14 inches with opportunities to harvest larger ones. 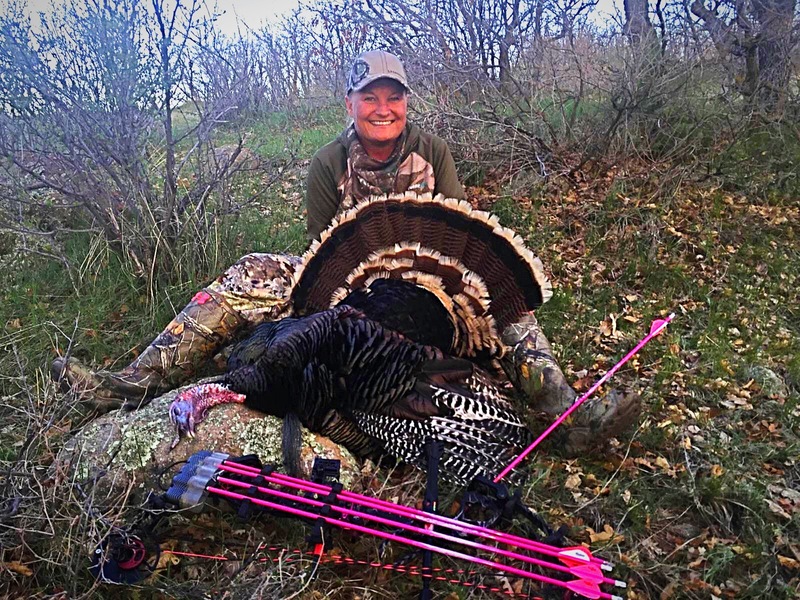 Hunting turkey has become the fastest growing hunting sports in America and with the population in Colorado’s native Merriams Turkey is on the rise, the hunting has never been better. Our Spring Merriam Turkey hunts are conducted at our Quakey Park location. We only take an extremely limited amount of turkeys each year in order to provide you with a high percentage harvest opportunity. There is nothing better than hearing an old boss gobbler echo through mountains at first light. Our main goal, as with all other hunts we offer, is to send you home with a mature tom and our guides will do their best to make this a reality. Turkey licenses for our areas can be purchased over-the-counter upon your arrival. Come join us in the heart of the Rocky Mountains for the most amazing scenery and sounds of turkeys echoing throughout the hills. All archery and shotgun spring turkey hunts are three days in duration. After many years of hard work we have obtained the permits to guide the lucky hunters who draw the S5/S60 sheep tag. We have some of the best private land access into one of the most remote and hard to access sheep areas in the state. By having this private land access it allows us to go where most hunters cannot get to with ease. There are 2 tags allocated every year to the unit. Due to the difficulty of drawing a sheep permit in this state we strongly suggest applying to this unit and calling us once you have drawn. Historically the area has produced rams from 150″-160+”. The rams have been on the upward trend over the last 10 years and much bigger rams have been spotted in the unit. We look forward to having you in our sheep camp if you’re lucky enough to draw a tag. All sheep hunts are always a 2 guides to 1 hunter ratio and are 7 days in length. The drawing point’s requirements are as follows. We do carry Landowner vouchers for hunters who do not carry any preference points in Colorado. Landowner Voucher are available at a First come First serve basis. There is NO guaranties we will draw a landowner voucher every year so do not rely on us. We strongly recommend all hunters apply and carry the necessary preference points to draw our hunts. We also offer a free application service to hunters who wish to start securing preference points for Colorado. All Licenses applications must be applied for by the first Tuesday in April every year. KB Outdoors does offer a free application service to our hunters to ensure we draw the correct tags for your hunt or to build up preference points for future hunts. After the draw, it is all leftover draw tags and landowner vouchers that remain. The seasons are regulated accordingly and many times requires the hunter to put in for the draw due by April in order to draw. Rarely at times, there are some leftovers available. WE DO PROVIDE LANDOWNER VOUCHER’S FOR THOSE WHO CANNOT DRAW A TAG ON A FIRST COME FIRST SERVE BASIS.